Info: Created on 30th September 2009 . Last edited on 22nd April 2011.
very nice work! Works good in text. Fantastic. The ligatures are brilliant. The character set is robust. Lovely details throughout. Top marks all around. Cool. I love how it looks at pixel size. Congratulations! FontStruct Staff have deemed your FontStruction worthy of special mention. “Pixie” is now a Top Pick. Congratulations! FontStruct Staff have deemed your FontStruction worthy of special mention. 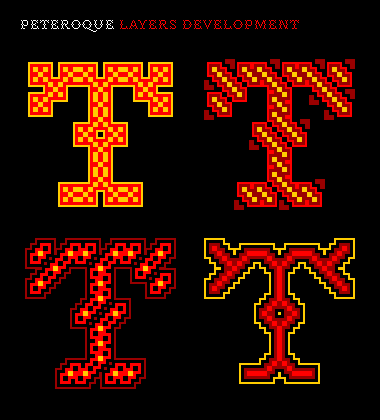 “Peteroque” is now a current Featured FontStruction. wow, This is superb, nice work! This is by far one of the best fonts here. The ligatures and alts blow me away. 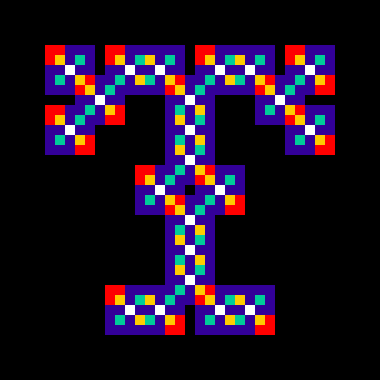 And Cyrillic ligatures!... whew! I also love the numerous dingbats (I am using this word to mean "decorative characters in typography", not "empty-headed people"). Congrats on the well-deserved (but well in the past) Featured Download. I give it 10/10. No, 20/10. No! 13424572468/10! !